We at Joyce Meyer Ministries have been delighted to work with Stikyard for many years and without fail, they have added an exciting new dimension to our events. Mark Miller and his team not only bring a new level of energy and creativity but are fantastic to work with, meeting deadlines and staying on budget. Our event attendees love the excitement Stikyard adds and we greatly enjoy the opportunity to work with such talented collaborators. I was a huge fan of Stomp...and you all make that seem like an appetizer compared to a main course! Add anointing...and it was out of this world! This needs to be on Broadway! I've had the honor and privilege of working with StikYard on 15 distinct performances over the past four years, ranging in size from 2000 to 30,000 people totaling over 150,000 in attendance! Mark Miller is a true creative and his team is made up of true professionals. If you're looking for that perfect creative element for your event, look no further than Mark Miller and StikYard. StikYard put on one of the best halftime shows I have ever seen! They captured our crowd of 20,562 with their performance unlike any halftime act I have seen before. It really takes something special these days to get and hold my interest. Maybe because I've been around so long and seen some pretty incredible things. Well, Mark Miller and his StikYard crew really did it for me. Young, energetic, artistic, and engaging are all superlatives that come easy when thinking about the production I saw entitled "Drummer Boy"
Miller did a wonderful job on every aspect - pacing, different elements, choreography, personnel, flow. It's not a stretch to think that God has a rhythm in His works of creation, and this piece gives thanks to the Master Drummer. ...as good or better than anything on Broadway! 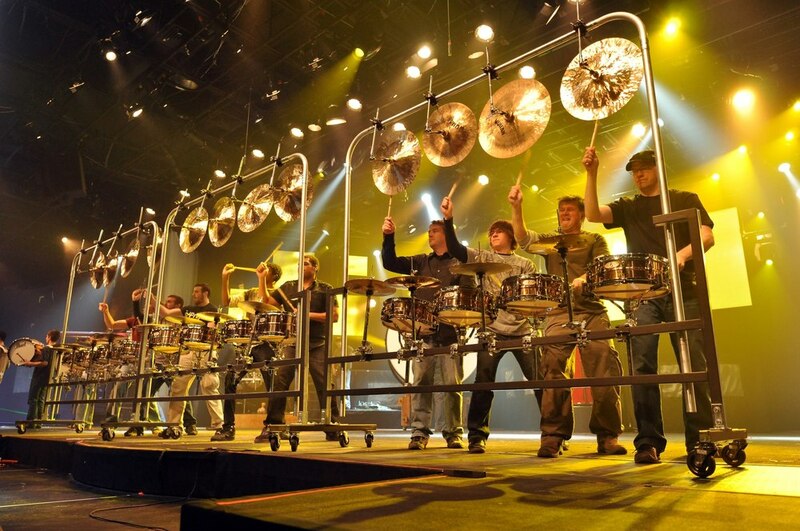 Drummer Boy was one of the best shows I have ever seen. And I have seen a lot working at the Scottrade Center. A phenomenal performance that is not to be missed! StikYard is an impressive combination of sights and sounds. Beautiful to listen to, fun to see. Mark Miller has done an amazing job of composing and producing a performance too good not to see twice. Learn more about the amazing performers and talent who bring their unique gifts to the stage for every StikYard performance. We love to entertain audiences of all sizes, across the country and beyond. Book our one of a kind show for your next event. We are humbled by the amazing comments we have received about our show, read what others have to say. © 2016 StikYard. All Rights Reserved.